Mission - Welcome to the South Pasadena Community Band Website! 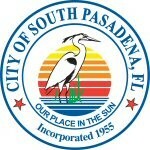 The South Pasadena Community Band is a Community Relations initiative of the City of South Pasadena, Florida. The band provides area musicians with the opportunity to use, hone, and enjoy their musical talents by presenting a variety of quality concerts for local area audiences. The Band is a 501-C-3 (non-profit) organization. We rely on donations from our regular supporters, rehearsal raffles, and the community. These donations help meet expenses such as new equipment, sheet music, insurance, and licensing with the ASCAP. If you come out to attend one of our wonderful free local concerts (we hope you will!) and you enjoy your evening, please consider a contribution to our DRUM on your way out! Every dime goes straight to the things we need so the Band can continue to bring great concert band music to the community! *We'll honor your donation with a listing on our Donors page, and print your name in our current season programs. A special "Thank You!" to the City of South Pasadena for their financial and logistic support of the Band.